Crude oil prices have had an exceptional run since Feb this year when the prices hovered close to 3,800 levels and surged up till 5,000 levels. As a trader, if you want to create wealth in long term in crude oil, your decision should be based on both technical and fundamental analysis. This stands true for not only crude oil but also all asset classes. Crude oil prices have had an exceptional run since Feb this year when the prices hovered close to 3,800 levels and surged up till 5,000 levels - giving a whopping 30% return in three months’ time, outperforming the commodities index. Many factors such as production cuts from OPEC members and other major oil producing countries, simmering geopolitical tension and US President Donald Trump withdrawing from the Iran nuclear deal supported the upsurge. Technical analysis too hinted at a massive rally that started on Feb 14, 2018. As seen from the chart prices above, prices went through correction from 4,250 levels down till 3,800 levels where they formed hammer candlestick pattern at the bottom level. Hammer candles at the bottom followed by a green candle is considered trend reversal. Hence, a technical analysis helped us to understand how prices rallied to a new multi-year high near 5,000 levels. Moreover, chart and prices say it all. We had a positive confirmation on Feb 14, and fundamentally, the world went bullish after positive inventory data was released on Feb 22 and Apr 4, 2018, showing a decrease in stockpile following which the prices went up. Now let us discuss the recent correction. On May 23, we got negative confirmation after Evening star pattern was formed and on May 24 news emerged that Saudi Arabia and Russia will increase crude oil production. 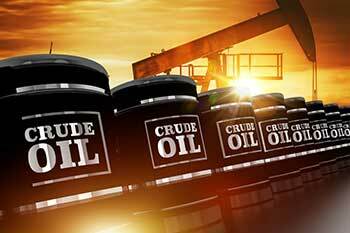 Consequently, crude oil prices crashed by almost 4.5% on May 25. Conclusion: As a trader, you should not ignore technical analysis, as this information when coupled with fundamentals can provide useful data points for wealth creation in not only commodities but also in all asset classes.